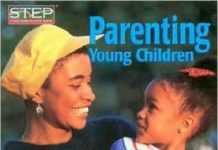 Home Parenting Skills Help Your Child To Set And Meet The Goals! Help Your Child To Set And Meet The Goals! Every parent wants their child to be successful. You have to set goals for your child in order to succeed in school and real life. Setting goals motivate your child to perform his best. But, do not set high standards so that it will become highly impossible to reach the goal for your child [Teaching the child achieve the goals]. 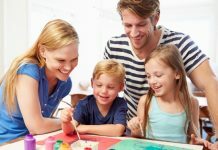 Set goals for yourself before setting for your child: Before setting goals for your child, you have to set goals for yourself and show it to your child how you will achieve that goal. It can give encouragement to your child because they watch you carefully. Identify the areas in which you feel stressed. Set goal to lessen the stress so that you will help your child set and attain goals [Goal setting tips]. 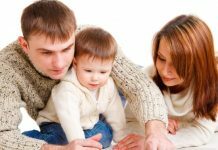 Set age appropriate goals: You should set the goals in such a way that they are suitable and appropriate for the child of that particular age. If you set too high standards for your child, your child may not achieve the goal and it can result in unnecessary disappointment in both of you. Set goals with your child: Discuss with your child about the goals he has to achieve. Even if you have suggestions about the goals, wait for few days and give time for your child to come up with new goals. Your child can also come up with new expectations that you have not even expected and imagined. If you want to help your child in setting the goal, you can involve your child. If you involve your child, he will be interested to achieve the goal, resulting in better grades. Develop an action plan: Once your child picks the goal, help him to develop a plan. The plan includes defining the goal, specifying the required time and necessary steps to achieve the goal. Set deadlines for your child to meet the goal. When your child achieves the goal, he will stay motivated and becomes ready to achieve another goal. Permit the failure: Sometimes, the plan to achieve the goal can fail. Falling down cannot be prevented. Give a little flexibility for the deadline to achieve the goal. Celebrate the achievement of goals: When your child achieves the goal, they need acknowledgment to say that they have achieved the goal. In schools, grades and awards accomplish the purpose. In home, you can celebrate your child’s success in variety of ways. You can go out with your child and do some thing that is helpful for your child. You can privately convey to your child the pride you feel in his/her achievement. 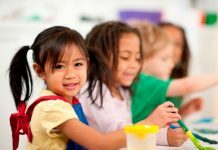 Previous articleTips To Foster Your Child Well Being! Next article10 Things Why No One Ever Tells You How Tough It Is To Be A Parent!